Proven, reliable power you’ve been waiting for out of your 800 E-TEC. 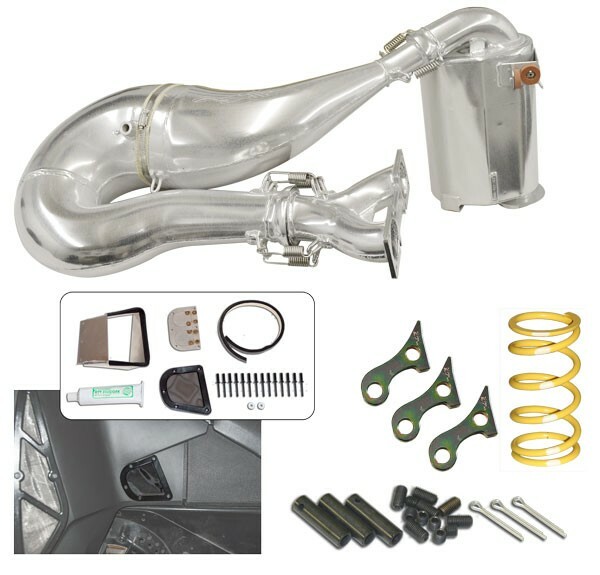 This kit combines our single pipe set that delivers an additional 7 horsepower with 15 pounds of weight savings with our new High Flow™ Intake kit that brings additional cold air into the intake tract on demand of the engine. These products are combined with our clutch kit that harnesses this additional power and transfers it effectively and efficiently to the ground. No fuel changes required.